Frida Kahlo is one of the art world’s most enigmatic figures. Beautiful, talented, tragic and strong, she broke barriers as a woman and as an artist and her story is irresistibly fascinating. This dynamically illustrated book makes use of full-page reproductions, historical photographs and the latest research to offer a balanced view of the artist and the impact her work has had in the decades since her death. 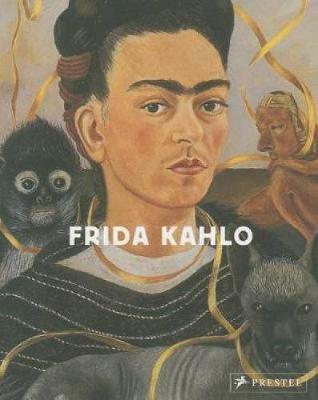 The author introduces readers to the colorful world of Kahlo’s Mexico; describes the misfortune that led to the emergence of her artistic sensibility; explores Kahlo’s spiritual connection with her country’s folk art and her forays into surrealism; and details her love affairs with intellectuals and other artists, in particular her soul mate Diego Rivera. A fascinating look at a brilliant artist, this volume will appeal to Kahlo’s many ardent fans, as well as create new ones.